A Polish language course must be effective and produce the required results. The learning process should arouse enthusiasm and student satisfaction with their acquisition of new skills. That's why Edu & More, in creating our Polish language courses for foreigners, pay heed to such factors as an interesting curriculum, up-to-date tried-and-tested teaching materials, use of technology, and a motivating learning atmosphere in appropriate premises. First of all, we've built a team of well-prepared Polish language teachers who not only have the requisite knowledge, but also the skills, abilities and passion for their work. The teachers are a team that likes working together. They are creative, willing to take on new challenges, always creating new materials for learning Polish, and refining those they've already prepared. We are proud of our pioneering work in the use of modern technology for teaching Polish. We are delighted by the insights of students after class that they did not think that Polish lessons could be like THIS. Karolina has conducted more than 12000 lessons. She has been working for Edu & More School for three years. She is specialised in teaching beginner and intermediate groups. She gives classes to both Slavic and mixed groups. Karolina creates interesting materials for teaching Polish, which inspire students to think creatively and to work well during classes. She can integrate and activate every group very well! 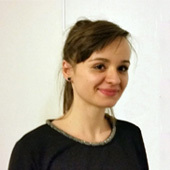 Karolina graduated in Polish Philology from Cardinal Stefan Wyszyński University in Warsaw. Teaching Polish as a foreign language is not only my job, it's also a pleasure and a hobby. I prepare every lesson for foreigners with a lot of passion and involvement. I always try to bring a friendly atmosphere to the classroom, so that my students can feel comfortable. My aim is to make lessons interesting and full of energy. I observe the progress made by my students with relish and satisfaction. Step by step, they break their language barriers and start to speak Polish better and better! I love to travel. Thanks to this job, I'm in constant contact with cultures from around the world. This is how I mix my passion with work. I can honestly say that I have found what I would like to do in my life. I think that Karolina is a great professor. She is always energetic, friendly and patient. She handles well the different groups she has and continues to seek for better examples. If I can choose, I will probably continue taking classes with her as long as possible because I really like her as a professor. Agnieszka has given over 6000 classes in Polish. She has been working for Edu & More School for two years. She runs group lessons, as well as specialised trade courses, including teaching through use of activities. She graduated in Polish Philology from the University of Warsaw. I am sure that people are different from one another, which is why I approach every student individually. That makes my work free of routine – I try to find an appropriate and pleasant way of learning for every student. I understand that learning Polish is a challenge, but I believe that it can be an adventure too! I appreciate creativity and curiosity in perception of the world. A positive and cheerful atmosphere plays an important role in my lessons. I treat teaching Polish for foreigners as a challenge – I search for attractive methods of learning through play. I definitely recommend Edu & More which is an excellent language school with great teachers for people who wants to learn Polish. I started learning Polish at Edu & More from November 2017 to June 2018, from A1 level to B1 level, which I was able to pass State Certificate Examination ( Państwowe Egzaminy Certyfikatowe ) in July 2018. Teachers are competent, creative and friendly. With interactive teaching method and friendly staff learning will be fun. Anna has given over 17 500 classes in Polish. She has been working for Edu & More School for 6 years. 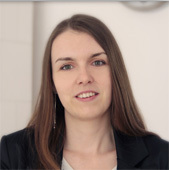 Anna has long experience in working with individual customers, as well as with groups of all levels. She is specialised in teaching grammar. Anna developed and has run many profiled courses (cultural, business and specialised). She is the co-author of two parts of the multimedia course book in Polish for foreigners Polski. Bez problemu! (elementary and advanced level). She has worked for many years for HBO TV as an editor and proof-reader of movie scripts. She graduated in Polish Philology from the University of Warsaw. She studied at the University of Warsaw's Institute of Lithuanian Philology for two years at the same time. Since 2015, she has been attended classes of the Jewish Open University (interdisciplinary classes in Jewish culture). I still like what I do. I try to teach my students in a way that I would like to be taught – in an interesting and efficient way. In my work, I underline involvement, empathy, humour and listening skills. I prefer an individual approach to every student. L’année dernière, de septembre 2017 à février 2018, j’ai eu la race de suivre des cours d’apprentissage de la langue polonaise avec Anna Tokarska. C’est une enseignante compétente, rigoureuse et exigeante qui sait transmettre son énergie positive. Sympathique, cultivée, curieuse du parcours de chacun, à la fois intuitive et très professionnelle, Anna possède également une grande sensibilité. Toutes ses qualités lui permettent de savoir adapter son enseignement et accompagner chaque étudiant dans la découverte de cette magnifique langue polonaise, dans la joie et la bonne humeur. Ayant quitté Varsovie, je garde un excellent souvenir de ses cours et possède, race à elle, de très bonnes bases. Je regrette de n’avoir pas pu continuer, mais s’il y a des cours à distance…ce sera une très bonne option à envisager. 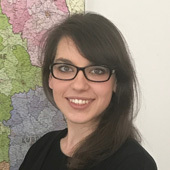 Anna była moją nauczycielką od września 2017 do lutego 2018. Jest pedagogiem kompetentnym, wymagającym. Jest też bardzo pozytywna, co ma duży wpływ na nasze rezultaty. A przede wszystkim, kursy z Anią są przyjemnością. Język polski jest bardzo trudny, ale wydaje się prostszy, jak nauczycielka jest sympatyczna. Anna has given over 7,000 lessons of Polish as foreign language since September 2013. She has been cooperating with the Edu & More school since July 2017. 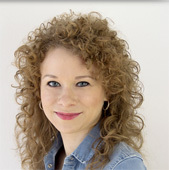 Anna specializes in teaching Slavic-speaking students and courses for business clients. She is a PhD student at the Institute of Applied Polish Studies at the University of Warsaw. "Choose a job you love, and you will never have to work a day in your life”. - these words of Confucius describe what I do. Teaching Polish is my hobby. I always try to make my lessons effective and interesting to my student. I believe also that friendly atmosphere is the key to language successes of my students. Ania is a very proffesional teacher, disciplined and with a lot of knowledge about how to teach polish. She is always helping her students giving tricks to understand better, and even spending extra time with them if necessary. You do learn a lot with her . Highly recommended. She spent more than 800 classes of Polish with foreigners. She has been working with Edu & More school since 2017. Magdalena easily takes on new tasks and challenges. Magdalena basically works with groups of beginners and with teenagers. 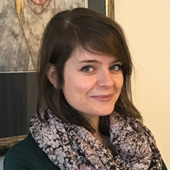 Before she graduate of Polish philology with the specialization glottodidactics of Cardinal Stefan Wyszyński University in Warsaw, she studied pharmacy . As a teacher of Polish, I am very glad that I can connect my work with my inspiration and vocation. During the lesson, in addition to the fundamental values, I appreciate the free and fun atmosphere in the group. It is important for me to make my students understand the grammar of Polish language as a logical structure and help them to enjoy grammar and phonetic exercises. I associate the work of a teacher with other hobbies in my life: my work in the Polish elementary school, as well as singing in the Choir of Fryderyk Chopin University of Music. She has run more than 3000 Polish lessons with foreigners. She has been working with Edu & More for three years. 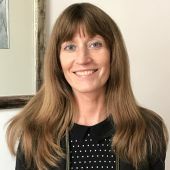 She specialises in teaching multicultural beginners and advanced groups, and runs Polish language classes for institutional and business clients. She also conducts preparatory courses for international ECL exam in Polish language. She graduated from the Jagiellonian University in Kraków. Polish teaching is my job and my passion. I try to make my lessons as interesting as possible. I want a positive atmosphere in the classroom. I like showing that Polish may not be the easiest language in the world, but you really can learn it. I work at Edu & More because the method of combining online learning with work in lessons at the school is very effective. I also appreciate the relaxed atmosphere at Edu & More. I have been studied Polish at Edu and More for more than two years and I recommend to all foreigners. Ewa jest najlepsza nauczycielka! She conducted over 3000 Polish lessons with foreigners. Kamila has been working with Edu & More school since 2014. She basically teaches international groups mostly in the evening. Kamila is engaged in texts editing, also creates multimedia presentations and creative tutorials. Kamila graduated from the Cardinal Stefan Wyszyński University in Warsaw. For me, working as a teacher of Polish is a pleasure and a challenge. I am an energetic person, so I try and make sure that my classes are not monotonous. I make a lot of effort, especially at the initial stage of learning, to break through the language barrier. I also aim for a welcoming atmosphere in the classroom. I am always pleased to observe the progress of my students, who speak better and better every day. In my work, my favourite thing is that I can not just pass on my knowledge, but also learn and develop. Edu & More creates the conditions for the development and acquisition of new experiences. Working here allows me to teach Polish in a modern, interesting and – most importantly – effective manner. My work as a teacher is also linked with my other passion – publishing. Kamila is a patient, proactive and smiling teacher. She exhibits strong interpersonal skills and a unique capacity for empathy. These qualities most notably translate in his ability to motivate students to care about their own development and be invested in their language learning improvement. Iwona has given over 1200 lessons. She has been working for Edu & More School for two years. 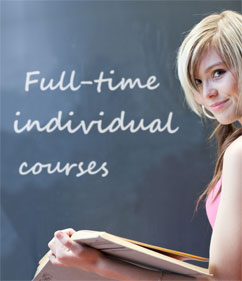 She is specialised in courses for Slavic groups and in courses preparing students for State Exams. Iwona graduated in Language education - teaching polish language from IBL Polish Academy of Sciences. She is teaching Polish, History and Social Studies in a secondary school. For many years Iwona has been an examiner for Polish school-leaving examination (Matura Exam) from Polish. Three years ago I discovered a new passion - I became the Polish language teacher. I came to the conclusion that a negative meaning of saying: “ May you teach alien children” must be changed into an honest wish with a positive significance ”May you teach foreigners!”. Katarzyna has run over 2500 classes in Polish for foreigners. She has been working for Edu & More School for two years now. 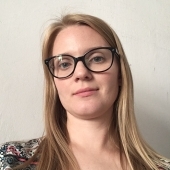 She is specialised in teaching Polish to beginner, intermediate, Slavic groups and in courses for children and teenagers. 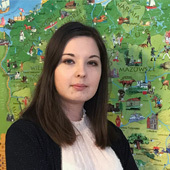 Katarzyna is the author of the article "Cultural Differences in Teaching Polish as a Foreign Language to High School Students with Polish Roots from the East" (JOwS 1/2014). Katarzyna was a speaker at the International Conference of Speech Therapy in Practice, on the panel entitled Bilingualism and Speaking Foreign Language in Speech Therapy. She graduated in Polish Philology from Cardinal Stefan Wyszyński University in Warsaw. I used to teach Polish as a foreign language in Warsaw's high school for students with Polish roots from the East. There arose my interest in cultural differences, multilingualism, as well as my motivation for further activities. Thanks to Edu & More, I can cultivate my interests and accompany my students in their achievements. By teaching Polish as a foreign language, I can mix work with passion. Sylwia has conducted more than 800 lessons in Polish for foreigners. She has been working for Edu&More School for almost a year. She runs courses for beginners. 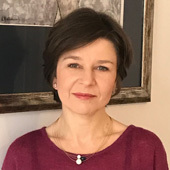 She is a graduate in Polish Philology, specialisation: teaching Polish as a foreign language, from the University of Warmia and Mazury in Olsztyn. I started to gain my experience in teaching during my studies, as I was giving classes at the university. Teaching is my big passion. Patience, understanding, kindness, tolerance and empathy are the main features of my work. I'm a friendly and enthusiastic person, open to other cultures and entirely involved in my work. In my opinion, making a student interested in a new language, encouraging them to experiment and showing them true support should come first.